This Monday was supposedly ‘Blue Monday’, allegedly the most depressing day of the year. The science behind it is dubious at best, especially given that it was cooked up by a travel company. Nevertheless, the start of January has very little going for it especially when the Chancellor decides to announce that there will be another £25 billion of cuts on the way after the next general election. Any sign of a genuine feel-good factor still seems a long way off for most of us. We’ve already had £83 billion of spending cuts and there’s plenty more to come. George Osborne spelt this out in his speech on Monday: “We’ve got to make more cuts – £17bn this coming year, £20bn next year, and over £25bn further across the two years after. That’s more than £60bn in total.” He added: “That’s why 2014 is the year of hard truths.” It will be indeed. As we work our way towards the next general election, the battle lines are beginning to be laid out. So much of this is politics, but it is politics that affects us drastically. Who will these latest cuts hit the most? David Cameron has already said that pensioners will by-and-large be protected even allowing for means testing some allowances. Housing benefit for under 25s is definitely in the firing line, but even if it was removed in full it would only make up £1.9 billion of the Chancellor’s proposed £12 billion cut in the welfare budget. That leaves a lot more to find and chances are that those on poorer incomes aren’t going to get off lightly. Watching the reaction to the announcements on Twitter was interesting. Even among some of those on the right of the political spectrum, there is growing concern about how fairly these cuts will be applied. Tim Montgomerie, the co-founder of the Conservative Home website as well as the Conservative Christian Fellowship tweeted that ‘A good number of Conservatives worry about Osborne/Cameron’s spending priorities’ and that he found himself agreeing with Nick Clegg that ‘It is unjust to balance the economy on the backs of lower income, working aged people.’ The general reaction from Christians that I observed was a lot stronger though. Many Christians I take notice of have left-wing leanings and there was plenty of anger that Osborne is picking on the weakest in society. 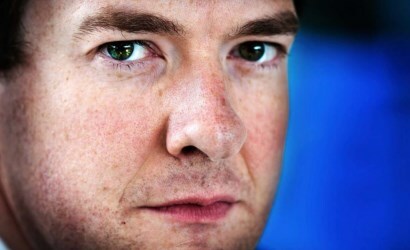 Giles Fraser’s article ‘George Osborne places the devil at the heart of our political liturgy’ may not have explicitly described Osborne as evil, but it certainly implied that he has a lot in common with the Devil. It’s not hard for Christians to approach the big issues that affect us all. When you believe in a God who can do anything, where nothing is impossible, being idealistic is very reasonable. We don’t set out to reduce poverty just a bit. Instead there is a call to ‘Make Poverty History’. When we see governments taking advantage of the poor or leaving them to struggle by, we speak up against it. The thing is though that criticism is not enough. Anyone can complain about situations they don’t like, but what good will that do? Opposing government spending cuts might be a superficially just way to react, but that doesn’t provide any answers that would make the situation better. Whether we like it or not all the main parties are signed up to them and the cuts are here to stay. The real questions are how deep and how fast? The independent Office for Budget Responsibility has said this government and future ones have little choice but to act to avoid more and more of Britain’s wealth being eaten up by interest payments on our mounting debt. The genuine risk is that it becomes unsustainable. We might be hoping that this time of austerity will end, but the likely scenario is that it will have to continue for decades. What we call austerity is much more likely to be the new norm if we intend to live within our means as a nation. And that means the pressures on the poorest are unlikely to ease off any time soon. So what does this mean for an idealistic Church that hates poverty? Demonising a chancellor and coalition government that is trying to bring stability to our economy certainly isn’t going to help, even if some individual policies do deserve criticism and scrutiny. Reducing debt to a manageable level whether at an individual or state level should not be considered wrong. Tim Montgomerie delivering the Conservative Christian Fellowship’s annual Wilberforce lecture last month described reducing the deficit as the greatest moral project of this government. Instead the Church has a role to hold the Government to account, to insist that there is a safety net that few can fall through, that the cuts do not make the lives of those at the bottom impossible, to say “Enough!” for the areas where the pain has reached an acceptable limit. The effects of government policy are broad and the consequences will not always be easy to see from the top. One of the Church’s greatest strengths is that it is on the ground embedded in communities. It sees what the consequences and outcomes are at a local level and yet it has sufficient presence at constituency and national levels to feed back the truths to politicians, if it can persuade MPs to listen. This is a unique role that only the Church can provide. As the state shrinks, the challenge is for Christian ideals to be joined with pragmatism and action. We see this in the rise of foodbanks, but surely there is much more to come. We are entering a new era for our society and for the state. Without the Church being allowed to step in and play the part it has always been called to do, putting the Gospel into action, many potentially could fall by the wayside. The time is upon us when many will be reminded of the vital role the Church has in strengthening our society and also for the Church to realise just how important its words and actions will be in shaping this country’s future. The thing I would dearly live to see it a change in the rhetoric. Government should deal in facts and figures, not in creative language that places the blame for a financial system failing on those who never really enjoyed its fruit. Scapegoating. And the media needs to be stopped. Yesterday’s television review in the I by Owen Jones on the awful ‘Benefits Street’ shines a light on an industry playing its role as a tool of the establishment demonising people who have little enough to start with, and how the figures of austerity just don’t add up. When we have people groups likened to vermin by the media, we are in a very dangerous place. I also think we need to seriously consider if the current shaky status quo of After you David, no after you Ed, with the occasional bit part by Nick is really serving the poor and the dispossessed, let alone you and me as well as our Government needs to. We have a 2.5 Party System that has not changed at all for around 50 years and not changed a great deal since we all got the vote 85 years ago. Although it is a long term issue, do we need to say the system is broken and needs fixing? The government needs to be more proactive in dealing with tax evasion and avoidance. Greater sums of money would be made available to the economy if tax loopholes and offshore schemes were closed. Its morally wrong when large concerns such as Starbucks and Amazon pay little or no tax when they enjoy huge profits in the U.K. The concept of negotiating ones tax is wrong. At the end of January i will pay tax that is DUE. We can all learn to live with less over and above what we need to pay the brown envelopes and feed ourselves . We should not tolerate scenarios where families including children and the elderly have to choose whether to ”eat or heat” Many factors including privatisation are reducing wages at the bottom end whilst the cost of living is rising faster. People in poverty are also more likely to require services many of which have already been cut to an unacceptable level. Pay day loans and credit which remains easily available just add to the problem. The Church has a role not just in supporting the poor but also conveying the problems associated with materialism and consumerism. Credit unions are in an ideal position to do this. Of course there are cuts to be made, and Govts should always be looking for savings regardless of the financial situation. But a big problem, especially at a local level, is that the cuts to the ‘squeezed middle’ are those which are being most strongly contested. We’re seeing this in Oxford where the County Council has tried a number of things for savings: The cuts to free buses for children not going to their nearest school (which mostly affected middle class rural children who were attending a school with a better reputation in another village) was greeted with uproar, but a proposal to get rid of the Social Fund (a fund offered to the poorest when they are in need of an emergency loan for an item of necessity) got hardly a murmur. Thank you Robin. These are important points, especially the need for more wealthy churches to share their resources effectively and be aware of those areas where the old parish system no longer functions. To what end? Is what you are saying, then, that if there were more churches filled with more concerned Christians, then this government – and in particular its odious “We’re all in this together” Chancellor – would then sit up, take notice and give a damn about the poor and disenfranchised? He of the party that encourages ‘Big Society’ (Christian) volunteering… because its free. Do you not think he has heard it already? Appeal to ‘Christian virtue’ by politicians who exhibit none is hypocritical and sickening. And the Church is utterly ineffectual here, because it won’t rock its establishment boat. You rightly criticise Osborne, but then read as though you cut him some slack, when you ought to be jumping up and down, screaming at a despicable politician whose ‘hard truths’ trouble not the economic interests of his ilk. Opposing cuts is not superficial nor is it the antithesis of providing answers. Most of those who oppose the cuts believe that a robust welfare state, a living wage and better legislation to protect workers are some of the answers, for example. They draw on Jesus’ teachings for some of this thinking and, whether you agree with their theology or not, calling it “superficial” doesn’t make sense. You write that “the cuts are here to stay”, and it sounds like you don’t believe in the accountability of our politicians. Perhaps you’re right: we’re along way from being anything that might be described as a democracy (I’m glad to say we’re a long way from being a dictatorship too). But to be so fatalistic about the role the Church and public at large can play in influencing the way our government treats the most vulnerable of our neighbours lacks Christian hope. You don’t have to be a “leftie” to see that. In your final paragraph we see what this is really about: with opportunistic cynicism you eagerly look forward to their being more opportunities for the Church to be patrons of the power, gaining the power we once had through violence back but this time through being the new third sector. This is an impoverished reactionary view of the Church: A Christendom model that demeans the Church. You can count most of us out.